Primorsko is a small town on the southern Black Sea coast of Bulgaria. 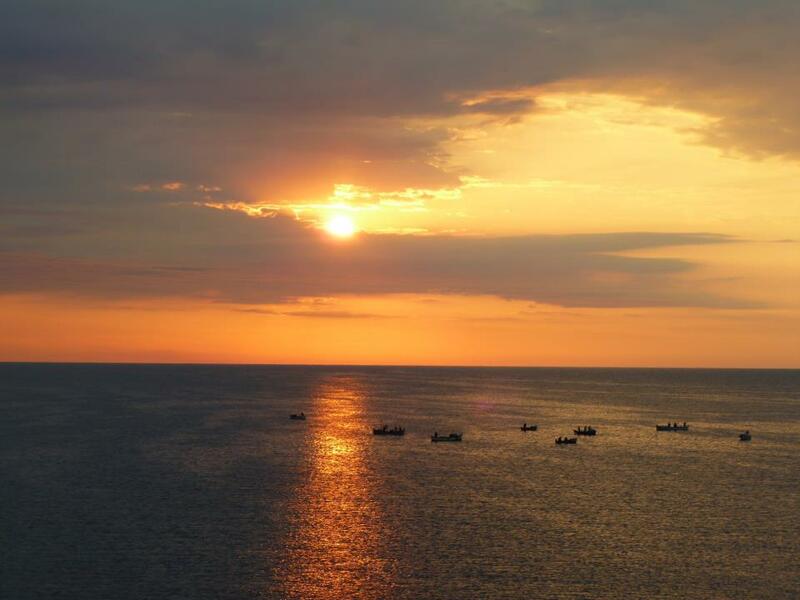 It lies on a picturesque peninsula, about 60km. south of Burgas Airport. The town is surrounded by long, gold-shimmering sandy beaches and dunes. A promenade takes you along the sea, around the whole peninsula. Until 1879 the area of ​​today’s city was a dense oak forest, in which only some meadows were cleared. After the shift of the borders by the Berlin pact in 1879, the first four families were settled in May 1879, near the Devils river. Until 1934 the village was called Kjuprija (Turkish for bridge). And what does “Primorsko” mean? 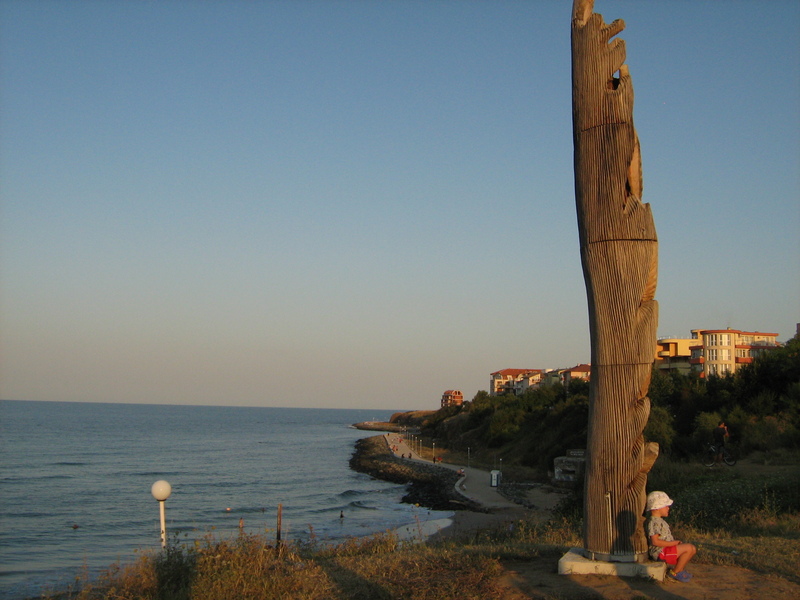 The unique name in Bulgaria, which means “by the sea”, gives the name of the region in which the population from the surrounding huts in the 19th / 20th century resettled. 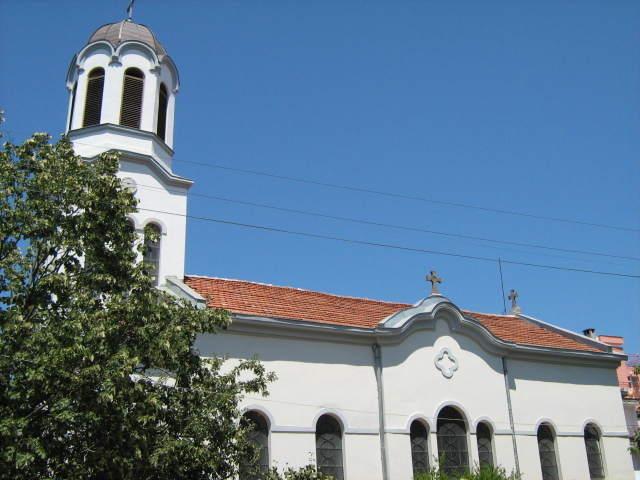 In 1981, on the 1300th anniversary of the founding of Bulgaria, the town was named city. The ecological conditions are excellent. Within a radius of 50 km there are no industrial facilities that pollute the air, the soil or the water. The city actively invests in environmental infrastructure to ensure the quality of the river and marine waters. In 2009, approximately 21mio BGN (11mio Euro) were invested and an additional sewage system was installed to the sewage treatment plant. The local airfield for small aircraft operates from April to October. Several summer tournaments are organized in beach volleyball, beach football, swimming and diving. In September: Championships in Harpooning. Above all, the harbor is a popular strolling destination. 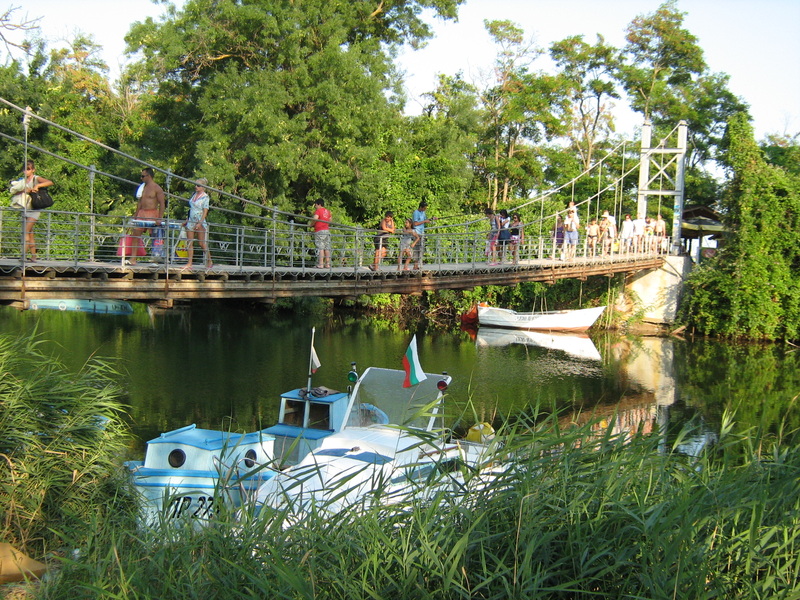 Another place for the fishing boats is the Devil’s River below the suspension bridge. The sunset over the small forest is unique. The fishing boats are still used by the local people for fishing. Anglers try their luck every day at the harbor. Excursions with sailing boats are a pleasure to use. The seawater is little salty and clean. In August it warms up to 28 degrees. The underwater world is very interesting and suitable for fishing, diving and other sports. 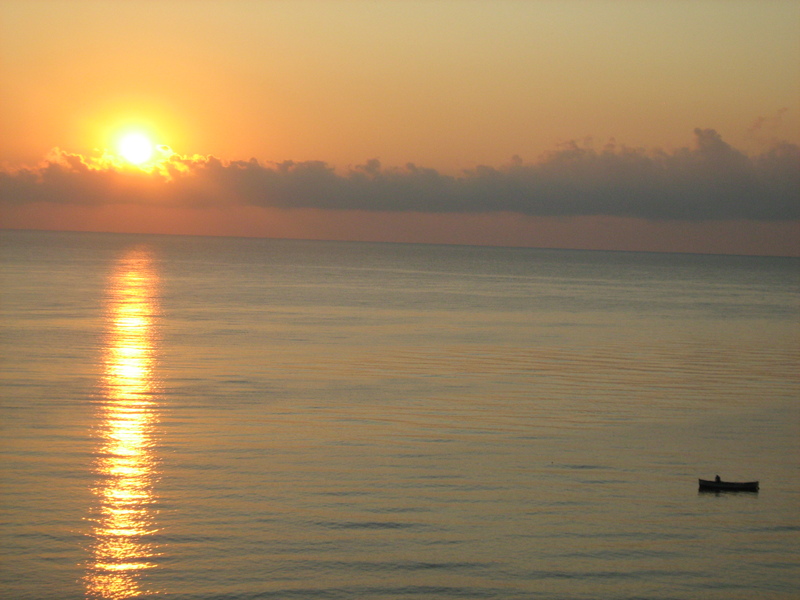 Usually, the sea in summer is quiet and warm, clean and not dangerous. The seabed is smooth and is slowly deepening. In the Black Sea there are no dangerous marine animals. The beach and the adjacent dunes are covered with fine golden yellow sand. 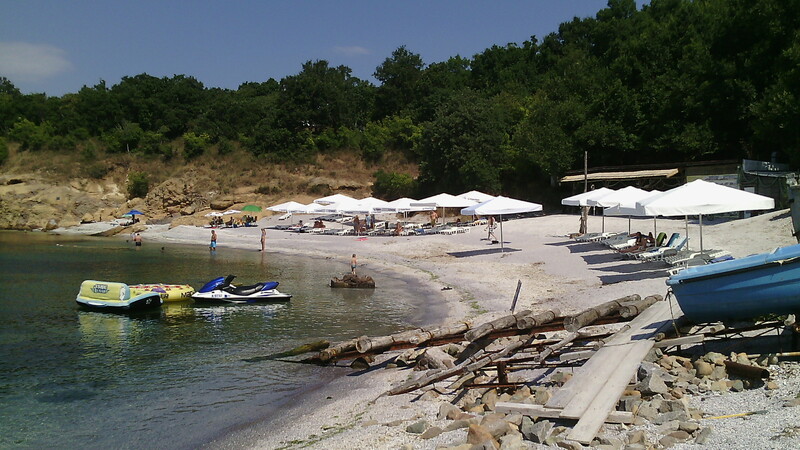 For all casual leisure activities on the beach, one should not forget following: when in Primorsko on holiday you should also make excursions to the hinterland and to the neighboring places. Within a radius of 60 km. there are several sights – created by nature and man, as well as opportunities to do some shopping from souvenirs to clothing and technology. The mountains, which stretch to the sea, offer impressive views, the small villages project a calm, as it is only in national park. Nearby is a nature reserve, the edge of which is ideal for hiking, as for example to a stone temple from the Bronze Age. The “Holy Mountain of the Thracians”: Located 5 km north of Primorsko is the Thracian temple from the Bronze Age (13th century BC) was discovered in autumn 2003. It had been a thousand years lost in oblivion. The imposing ensemble of stone, when nature revered nature, as rituals, myths and legends determined everyday life, leaves your breath stifling. The area, which was cleared during the excavations in 2003, measures 80 meters in diameter. On display are: large sacrificial stone with stone basins, carved canals, throne, labyrinth, dolmens of 12/5/9 meters and other forms created by the original population of this region. The stone temple from the Bronze period is located on the edge of the nature reserve “Ropotamo” and red, dam or wild boars are often seen. Visit it by car, bike or on foot. Follow the asphalt road straight ahead at the intersection before the ex-residence “Perla”. It runs through the forest and some meadows. At the meadow with the small dolmen take the forest path on the right. cars are not allowed on the forest path. From Primorsko organized, or privately accessible. It is recommended to visit in the morning. Guided tours (DE, RUSS, ENGL) are available upon request by museum staff. A tram behind the school yard in the direction of ex-recital “Perla” an Kiten. For bathing or for a walk you can also reach the North beach on foot. Behind it, you forest paths will lead to numerous coastal bays. 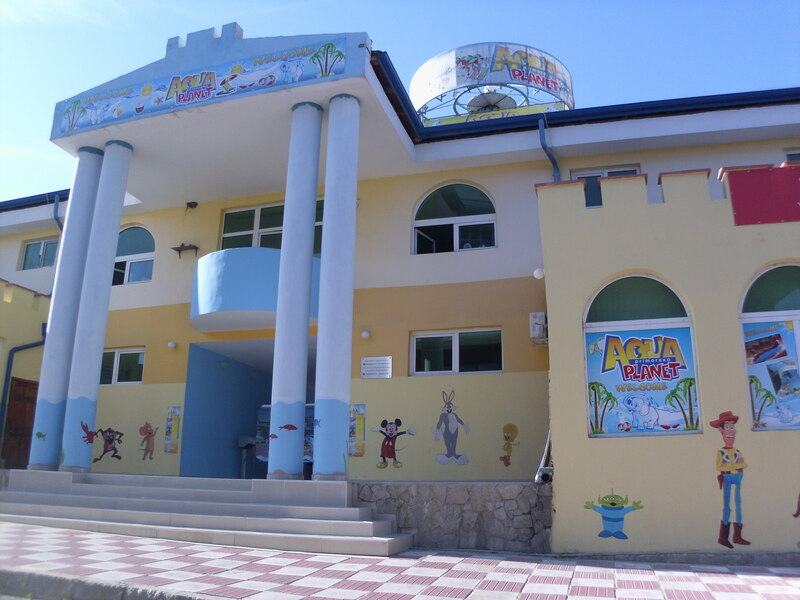 A romantic walk over the south beach and a small forest leads you to the youth center (3km) and the neighboring village Kiten (5km). 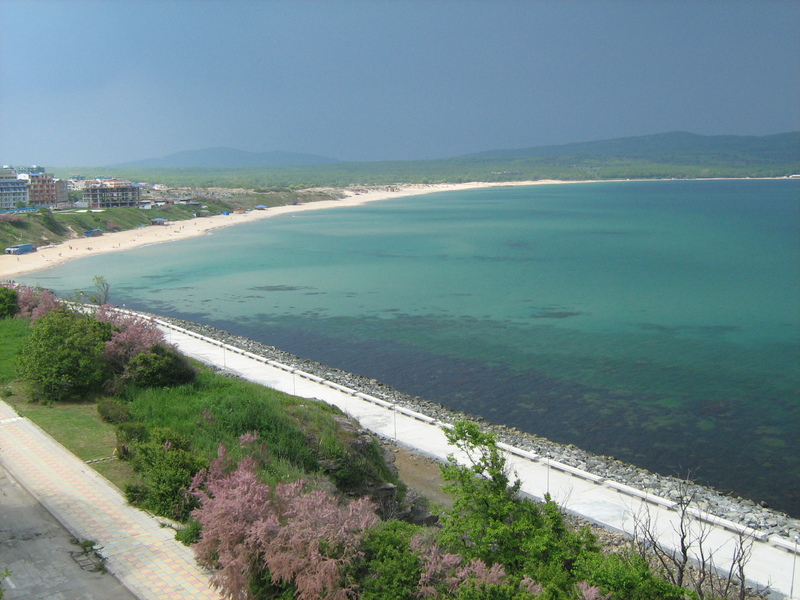 Around the peninsula of Primorsko runs a sea promenade from North Beach to the port. Horse-drawn carriages for city tours and taxis can be found in the village center. Prices are negotiated before the trip. 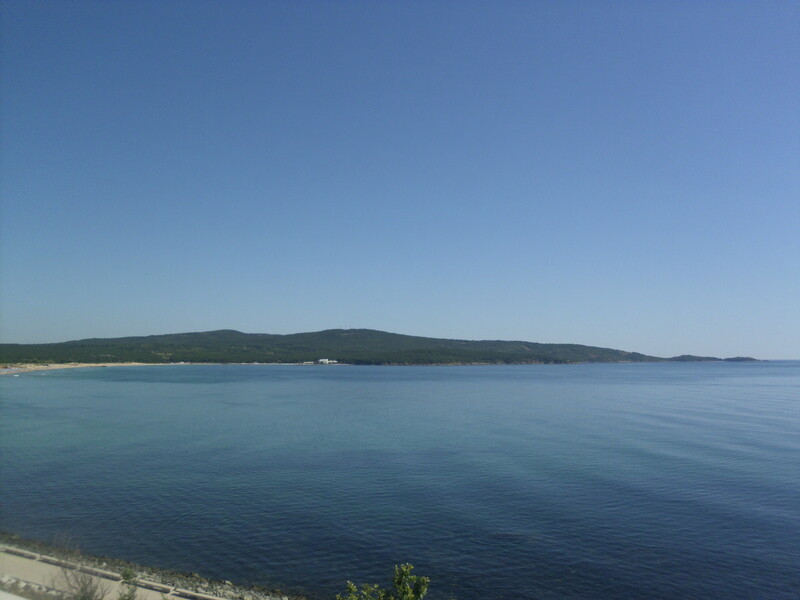 A day trip to Sosopol, Burgas, Sonnenstrand and Nessebar, as well as Varna are a possible. The main bus station is located at city entrance. The buses run regularly, however, July and August are crowded. The boat trip to the Ropotamo river mouth along the Löwenkopf, or upstream in the “Ropotamo” nature reserve – from the river bridge is very recommendable. Nearby is the waterlily reserve “Arkutino”. Accessible by taxi. You should take a wind jacket and camera with you. Most of the species found here are listed in the Red Book of Protected Plants, Animals and Regions.